Home » Gurgaon » Gurgaon Schedule » raahgiri days » Whats New » Detailed schedule for 30th August, 2015 for #Raahgiri #Gurgaon. 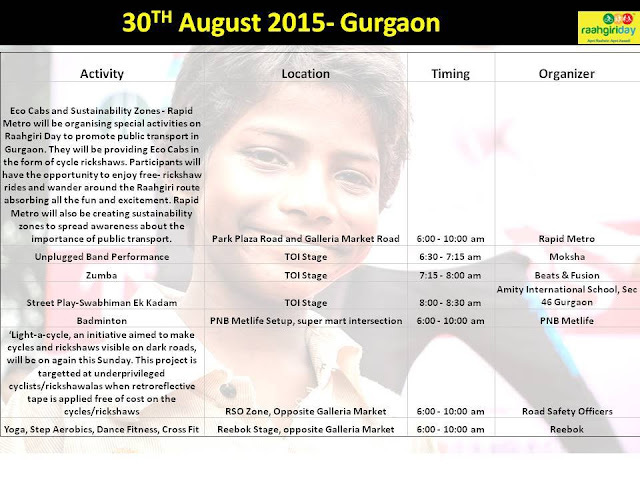 Detailed schedule for 30th August, 2015 for #Raahgiri #Gurgaon. 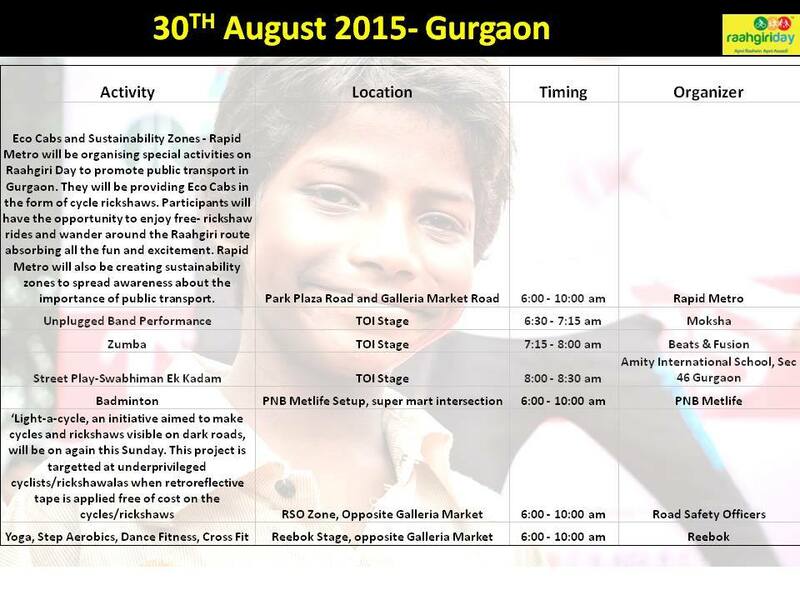 Here is a detailed schedule for 30th August, 2015 for #Raahgiri #Gurgaon.